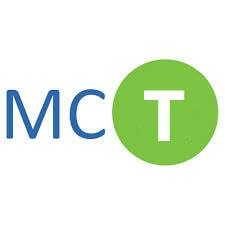 MCI is seeking to recruit Operations Officer to be based in Dar es Salaam Office. The Officer will work closely with the MCT Country Manager to oversee the day-to-day activities of the organization, specifically to ensure adherence to financial and administrative procedures, accurate filing and organizational systems are in place and compliance with donor and government requirements. This position is full time, fixed term (1 year) and will report to the MCT Country Manager. • Procurement of office supplies and equipment. • Perform any other related duties as assigned. • Provide logistical support visiting staff, partners and donors in country on certain occasions. • Bachelor's degree in Accounting, Finance or other Professional equivalent qualifications. • 3.5 Years working experience in accounting and book keeping. • Excellent knowledge in preparing financial reports. • Excellent knowledge in keeping all accounting documents in a safe and orderly manner. • Performing all accounting functions in accordance with international accounting standards, procedures and policies. - Should have excellent interpersonal skills, communication skills; problem solving skills, teamwork skills, analytical skills and multi-tasking skills. • Must be proficient with English and Swahili languages in both spoken and written. Applications should be addressed to the Senior Country Manager. Closing date is 23rd November 2018. Only shortlisted candidates will be contacted. Source: The guardian November 08, 2018.